Many familiar kendoka will show up. For example, Eiga Brother’s sensei and last year’s Champion Furukawa Kazuo 古川和男 Sensei from Hokkaido， and Kamei Toru 亀井徹 Sensei from Kumamoto will be both competing at their 11th and 12th time respectively. You can view last year’s final match at 2015全日本選抜剣道八段戦　決勝　石田利也　対　古川和男 – Ishida vs. Furukawa 8-dan, a 1080p HD video clearly demonstrating Furukawa Sensei’s elegant sonkyo, roaring kiai, strong ki or qi, fierce seme, and indisputable men ippon, etc. On July 16 and 17, Atsumi Hatakenaka 畠中篤美 Sensei, Kyoshi 8 Dan, the most senior, active female Iaido sensei in the world, will be leading a seminar focused on developing women in Iaido. Hatakenaka Sensei specializes in MJER (無双直伝英信流) and is from the Tokyo area. Sensei will not only work with participants on improving their own training methods and practices, but also impart her knowledge, experience, and advice for thriving in a martial arts world growing in gender diversity. The 2016 AUSKF Kendo Summer Camp will be held on the Stanford University campus in Palo Alto, California on Friday, August 19th through Sunday, August 21st. 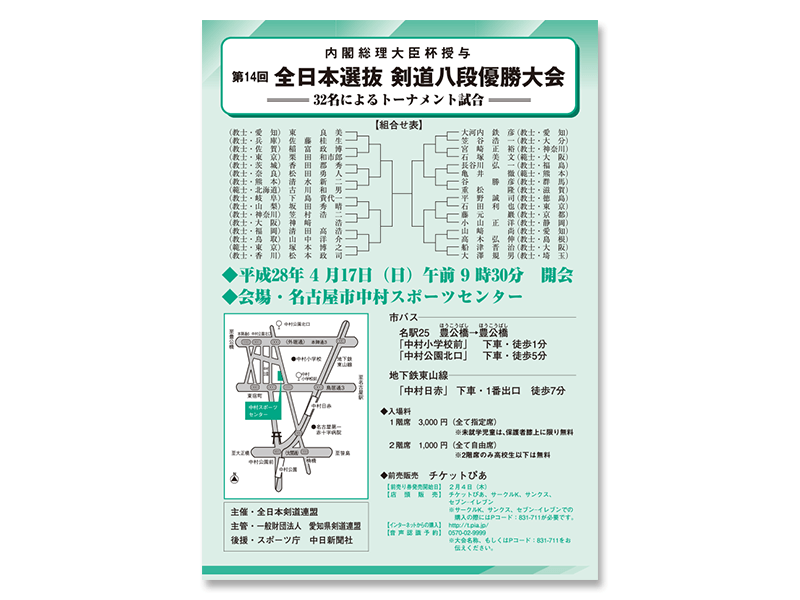 There will be kendo seminar and kodansha shinsa. Camp fee $95 – DUE JULY 6TH. Please find all information and registration details at AUSKF Education – 2016 Kendo Summer Camp. Please make sure you attend this Tuesday, March 29 night’s practice especially if you plan to participate in Ito Cup but have never been in a kendo tournament before. We are invited by the Crow Collection of Asian Art to perform both an iaido and kendo enbu at 10 a.m. and again at 11 a.m on Saturday, April 2. The Crow Collection is located at 2010 Flora St., Dallas, TX 75201, across the street from the Nasher Museum and close to the Dallas Museum of Art. They will have us perform in the outside courtyard, up the stairs from street level on Flora Street. The weather is supposed to be very nice, and they say they are expecting lots of students from DISD, so it will be a great opportunity to demonstrate our art in an appropriate setting on a beautiful day. Let’s plan to meet (dressed) in the courtyard of the Crow Collection of Asian Art at 9:15 a.m.
Entrances to the building’s parking garage are located on both Harwood and Olive Streets. Take your parking ticket to the museum’s front desk to have it validated. Please let Tranchin Sensei or Ichimura Sensei know if you plan to attend. Ashley is coordinating a bulk order of the official DFWKIK dojo jacket for new members. If you have not already done so, please give her your size information. Hiroaki Kimura (木村洋明）Sensei is moving back to Japan. A bunch of our dojo members including Nguyen Sensei and Tranchin Sensei, drove to Houston and participated his farewell joint kendo practice headed by Kajitani Sensei during the past weekend. Pretty sure everyone particularly enjoyed Yamaoka Sensei’s warming up drills. Thanks HKK for the hospitality! It was a great weekend of kendo and friendship! Best luck to Kimura Sensei! We will meet again.